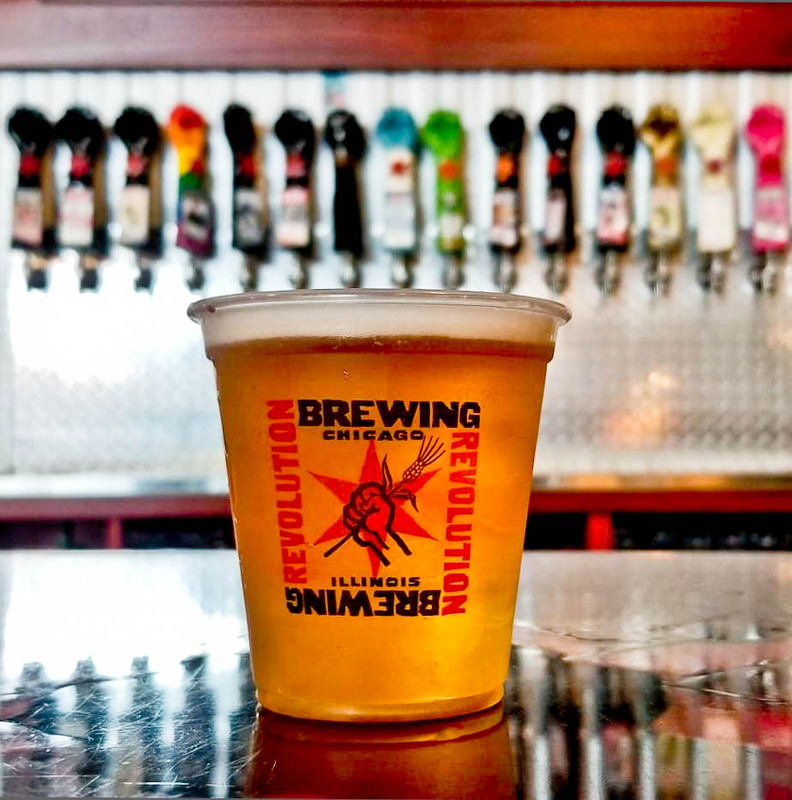 Revolution Brewing’s taproom was the scene. 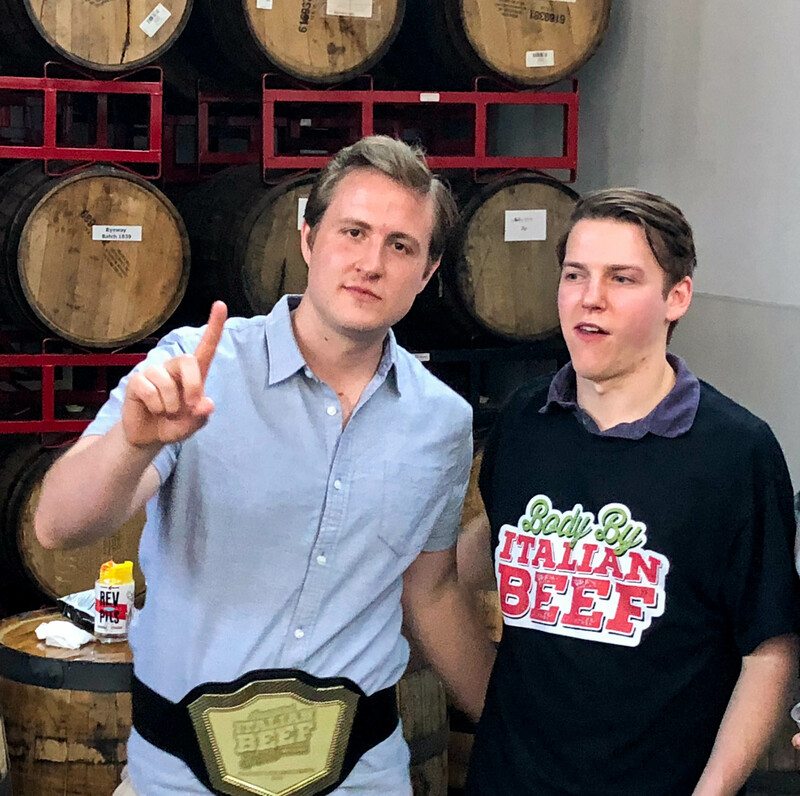 The Legends of Beef (Al’s, Buona and Mr. Beef) were all in attendance. 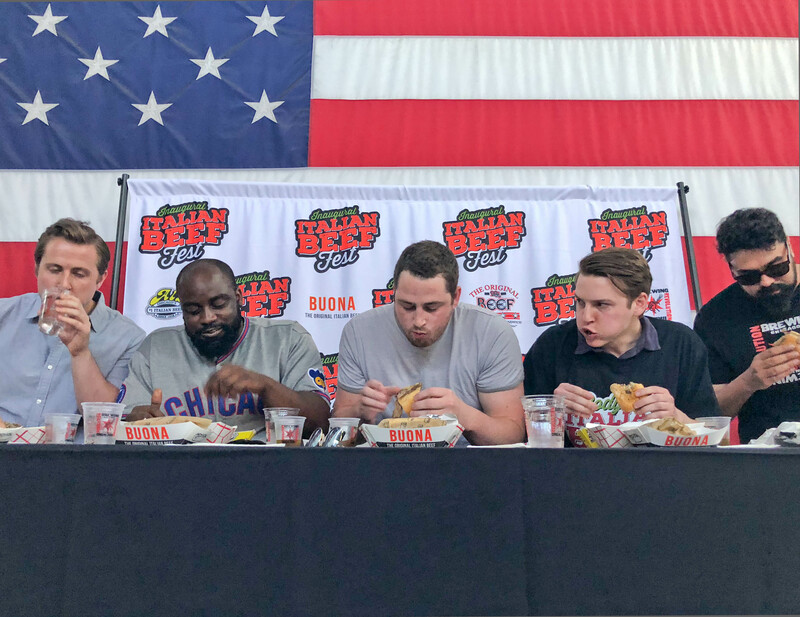 Every one here acknowledges that Italian Beef is a Chicago tradition from the 1930’s. Immigrant weddings needed an efficient way to provide food to serve large groups. The beef was slices thinner to accommodate more people. Al’s since 1938 is eldest of the trio. A smaller more consistent topping is deployed to achieve the same flavor profile in every bite. Every one else tried to recreate the wheel. In 2018 Al’s is celebrating their 80th Anniversary. They nailed it out the gate and never changed. Fist City 5.5% A glorious can design featuring a gold top and The Statue of the Republic from Chicago’s 1st World’s Fair in 1893. 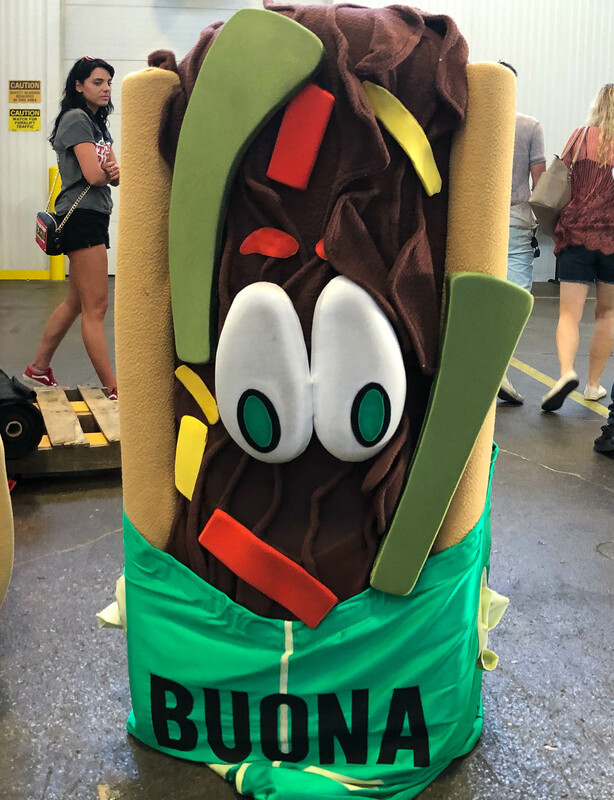 Buona has opened 20 locations since their debut in 1981. Here you will find a chunkier giardinera with less celery. This sandwich has more pronounced flavors. Turano French Bread is lightly toasted so it holds together nicely. The Original Mr. Beef opened in Homer Glen back in ’63. That location in River North on Orleans was sold a while ago. 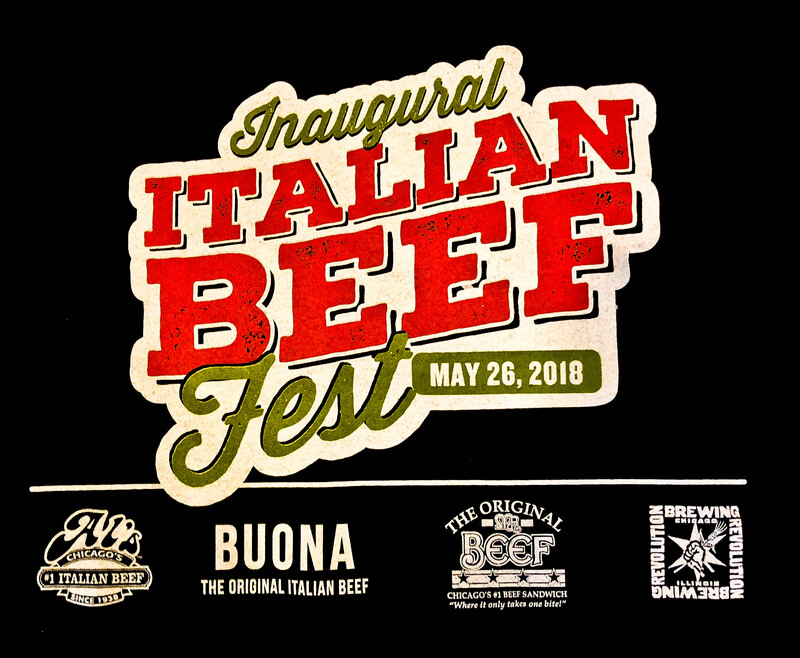 The older brother of Joe Buonavolanto Sr, founder of Buona Beef, started Mr. Beef. 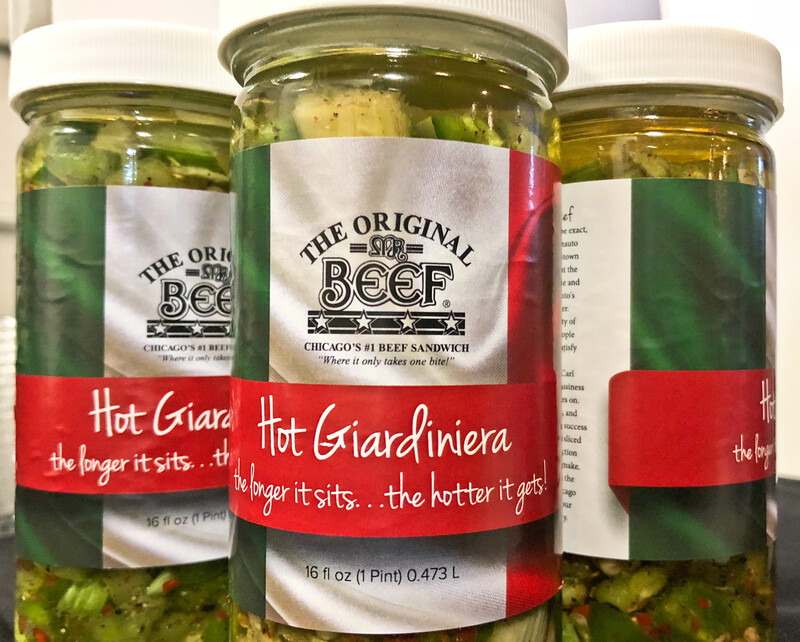 The thinned sliced perfection is consistent across all three families. . A celery forward homemade giardinera, is preferred here, no vinegar. It’s a mêlée of oil, serrano peppers, celery and black pepper. 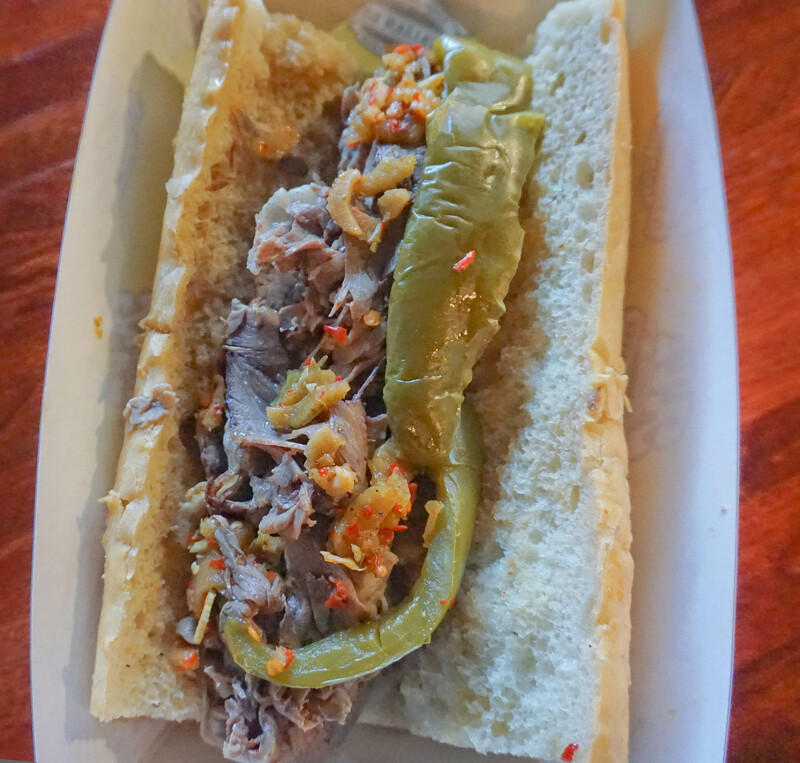 I love this sandwich; the only answer for its bodacious profile was Galaxy Hero. The clean bitter, piney, herbal, double dry hopped IPA completed a momentous pairing. Both sessions were sold out. The rumor is that next year this party will be at Soldier Field. 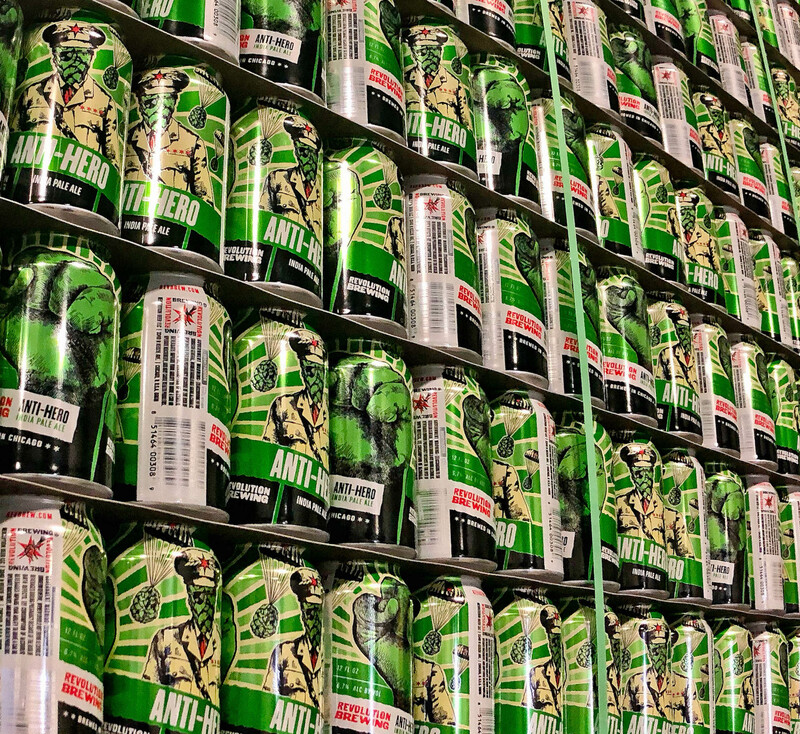 Revolution Brewing is the largest privately owned brewery in the state. VIP tickets included a facility tour. Norma Jean is the massive barrel aged imperial porter on draft that many in attendance were ordering digestif style at the festival. Either that or Triple Fist dry hopped American barleywine. The full range of Rev Brew offerings were on display. Styles ranging from approachable, food friendly options to the complex and overwhelming. Taprooms are at a modern era all time high in the city. 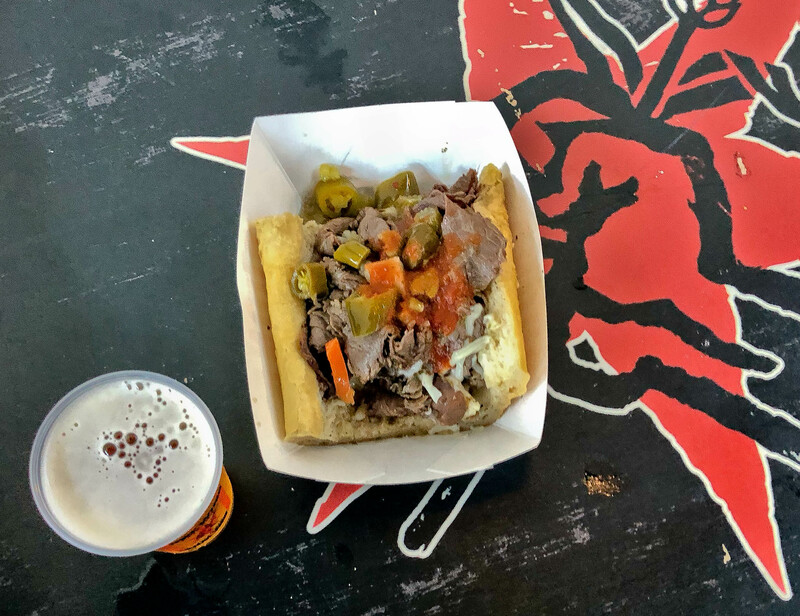 One of the most intriguing features of Italian Beef Fest is that it all went down Rev Kedzie, a mainstay on the list of Chicago’s essential taprooms. Back in 2012 the Closing Ceremony of Chicago Craft Beer Week was the Grand Opening of this production facility. Whether it’s their annual Oktoberfest, a popup mini golf course or their annual Galaxy Hero C2E2 Cosplay Party, Rev Kedzie throws a proper shindig. 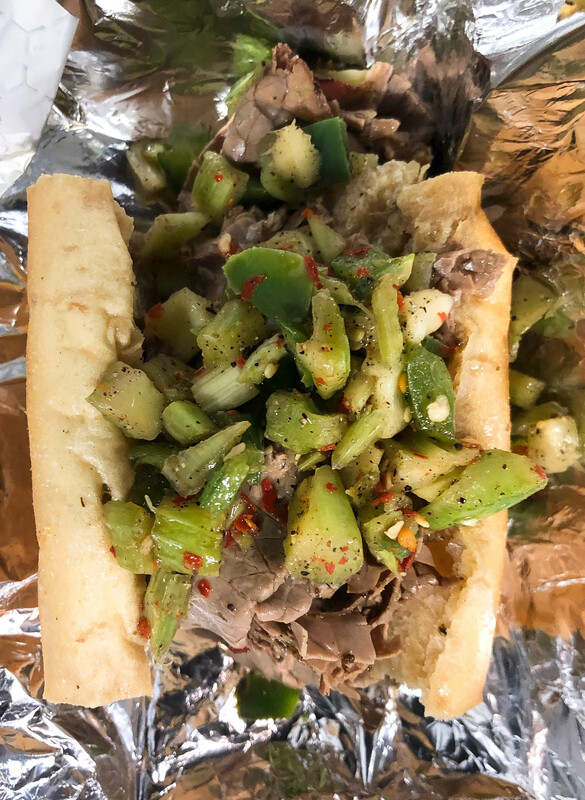 Al's Italian Beef, Buona The Original Italian Beef, Mr. Beef, Nkosi White, Revolution Brewing. Bookmark.